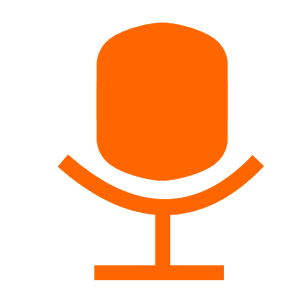 A microphone for the PC is used for many different purposes: it can be as a chat via Skype with loved ones, as well as voice communications between team members in online games. 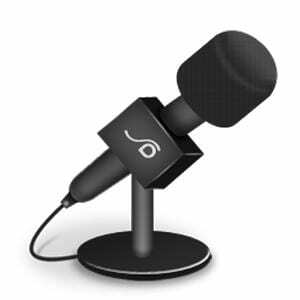 Sometimes there are situations when a microphone is necessary, but it is not possible to use. There lots of reasons for it: from the simple lack of a working microphone to a damaged socket on the motherboard of the computer itself. Why use a smartphone as a microphone? For the main mass of people, it is not very clear. Indeed, it is easier to buy a separate microphone to your PC. But those who communicate via computer with special programs and who are keen on expanding the functions of their mobile can create the microphone based on a conventional phone. In this case, the machine becomes an analog laptop, a webcam with integrated microphone. 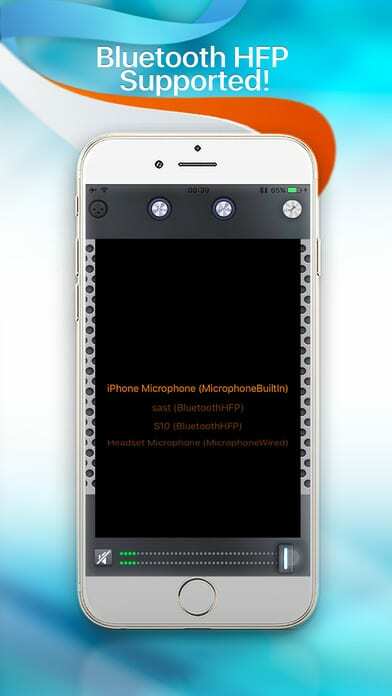 Let’s look at some applications that will help to transfer your smartphone into a real microphone. Do you want your phone to be working as a live-in microphone? Then, download this app. You’ll be glad to sing your favorite songs from the collection, compete with your friends in the singing, and, most importantly, your voice will be heard loudly and clearly. 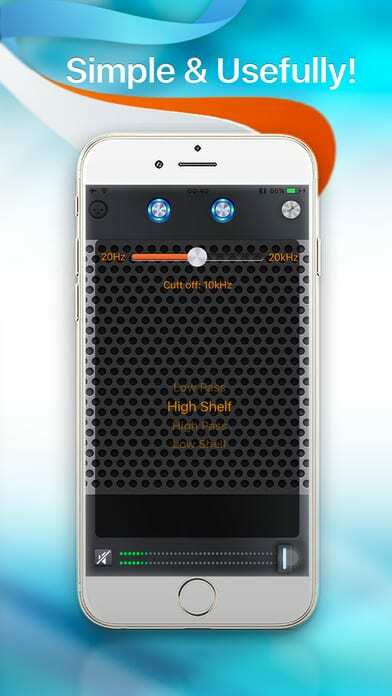 Simply connect your iPhone to your stereo system and turn on the Microphone app from VonBruno. 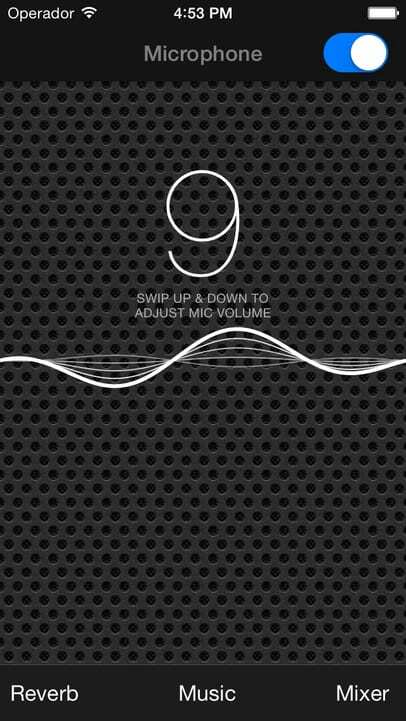 To adjust the volume, simply swipe your finger up or down. There is the presence of a variety of effects to add the specific effects to your voice. Select and sing the songs from your iTunes library. It is worth noting that the application does not work via Bluetooth or AirPlay speakers. To work correctly, it is best to connect to a stereo system. 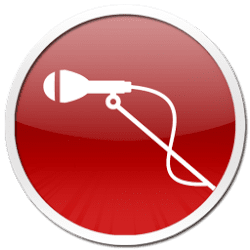 Air Microphone app – connect your iPhone to Apple TV or compatible audio amplifier to turn the smartphone into a wireless microphone. It is interesting enough, isn’t it? And it is not difficult to use. You just need to enter the menu and find any device with AirPlay support. It remains only to slander the speech, the sound of which you want to make louder and clearer, straight to iPhone audio receiver. 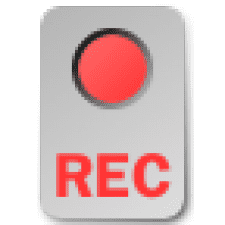 This application provides the ability to record audio in four formats: WAV (.wav), THREE_GPP (.3gp), MPEG4 (.mp4), AMR (.amr). 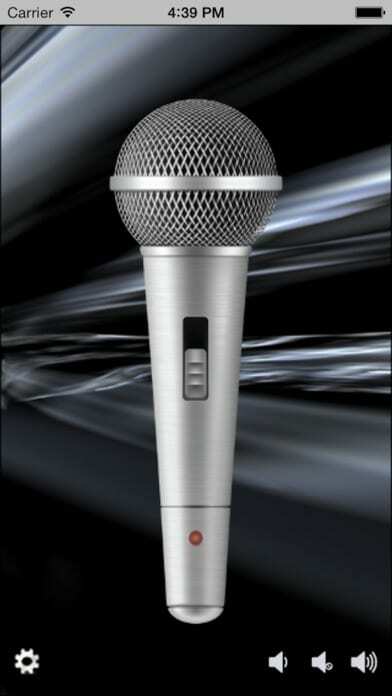 The program can record both tones and sounds from the application, but to write in any case, you should use a microphone. Recording of calls is done automatically, or you may have during the call to go to the application. It is possible to store a contact’s name in the file name. One of the distinguishing features of this program is the ability to auto-delete the recorded files at 1, 7 or 30 days. Files can be limited in duration and size in MB. The recording can be sent via Email or Skype. Also Record Mic and Call has is a function of “schedule” to start recording at a specific time or a timer, which is quite rare. The program is free, so there is advertising. However, as usual in such cases, it is sufficient to disable the Internet, and you will forget about it. A program is an excellent tool for recording audio files. The disadvantage is that the program is essentially “eats” a charge of the smartphone battery. In general, this software will not be an access on any smartphone. 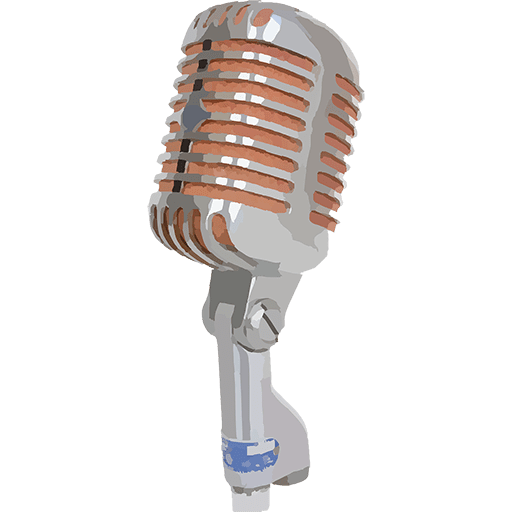 WO Mic – is an application that will allow you to save money on buying a microphone to your computer. 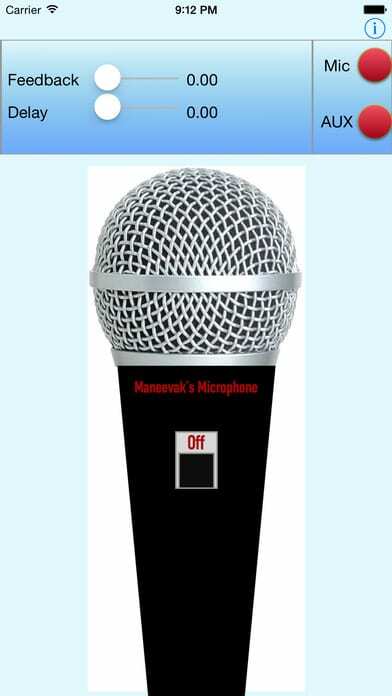 This program allows you to use as a microphone virtually any device based on the Android operating system. To connect a portable device to a computer, you can use a USB-cable, Bluetooth and even wireless access point Wi-Fi. No additional drivers on the stationary unit do not need to be installed. The interface of a mobile application contains a minimum number of elements. In fact, all that the program allows you to do – is to enable or disable the sound, as well as choose the type of connection. 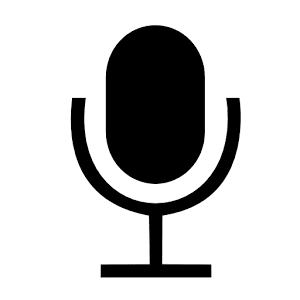 The volume of the microphone is adjusted directly on the computer that is connected to a portable device. Apart from the fact that the program has an extremely pragmatic interface, requires no prior configuration and supports all possible types of connection, it is also completely free. There is, however, a professional version of WO Mic, which comprises a plurality of sound settings, and several other useful “buns”. 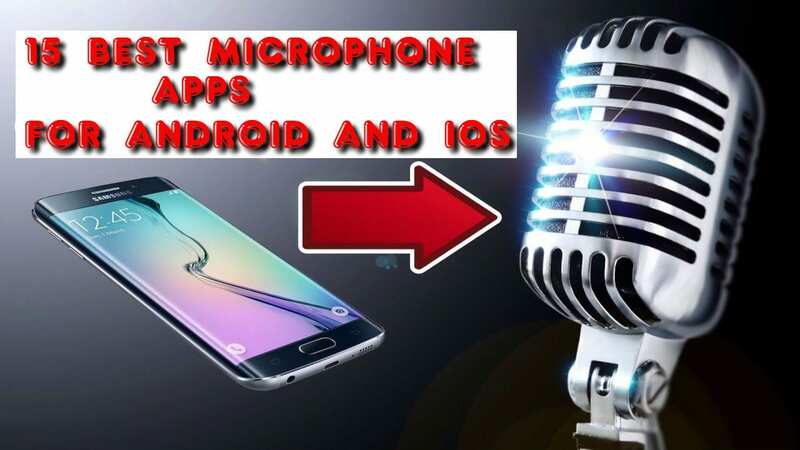 In general, we have a very interesting program that allows you to turn Android devices in microphones supported by any customer of voice communication. 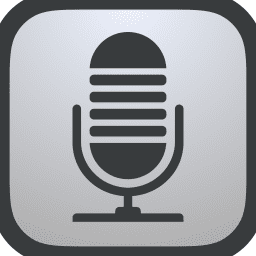 This app will turn your phone into a real microphone. To start, you need a cable with a connector jack 3.5. Connect it to the phone, open the app on your phone and activate it. Then you need to connect the other end of the cord into the jack on the computer sound card. Everything is ready! You can enjoy your voice! There is a handy feature in which the application continues to run even when the screen is off. The app is simple to operate and does not have much advertising. This application is unique in that it has an acoustic router. You can also find a stereo amplifier, two playback modes (mono or stereo), the equalizer adjustment, sensitivity adjustment. The app allows you to select the sampling rate. There is support for widgets and Lock Screen. The Microphone app turns any phone into a microphone which can be connected to any stereo system, keyboard or headphones via the cord! 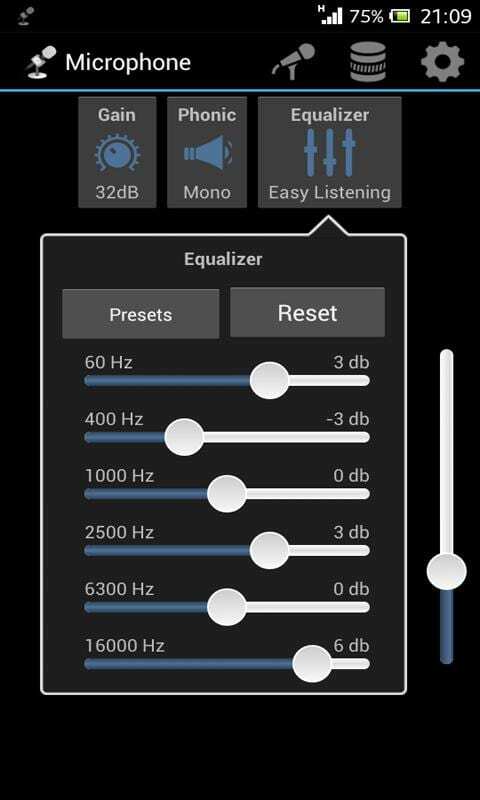 With this application, you can use your mobile phone as a microphone, a speaker, or a hearing aid. You will need a stereo cable to use the application. The main advantages of this program include the ability to filter the noise, as well as several play modes, including Sports, Theatre, Meeting, Conversation modes. This is a remarkable and easy-to-use mobile application. 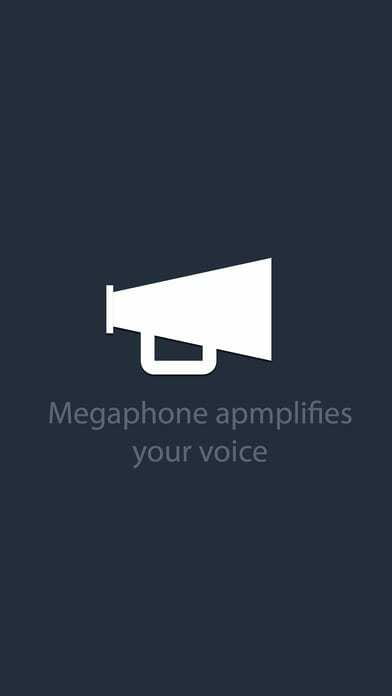 Test the built-in microphone and speaker of your phone, use your device as a loudspeaker or an external microphone. 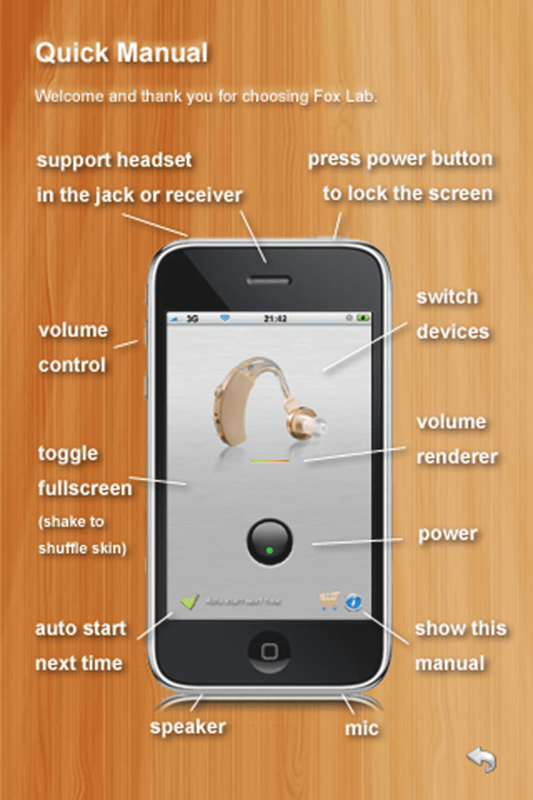 All this you can do with the app Microphone – Hearing Aid. Imagine, that you are at a conference and you need to make a huge audience hear you. 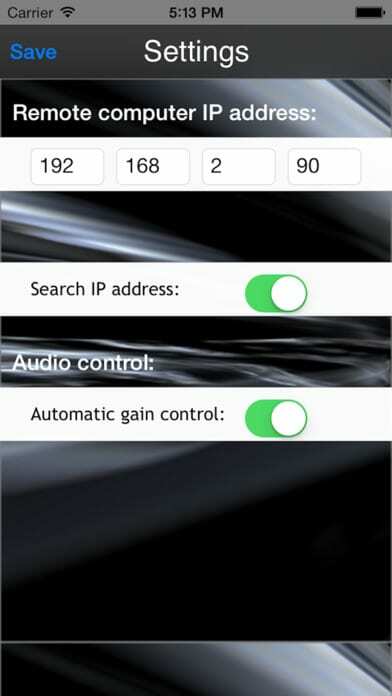 With this application, you can turn your device, connected to the TV screen, in the whole karaoke system. 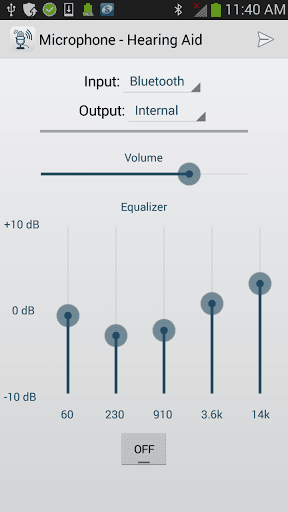 The program helps to transmit a sound signal obtained from your idevice. Availability of a wireless access point WiFi provides the received of the signal at a distance of 100 feet. The quality of the sound remains consistently good. Wireless sound transmission from idevice to the remote computer. 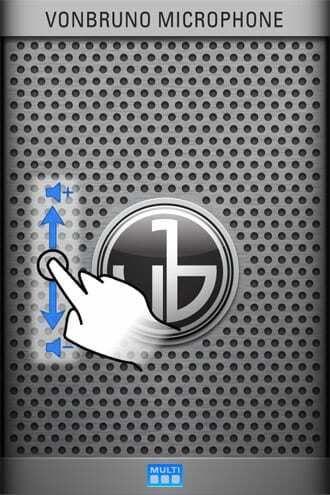 The ability to control the volume on the computer. The program automatically detects and connects to a remote computer. You can connect up to 4 idevices to one source. Remarks: for WiFi connection, you’ll need an iPhone or iPad and a computer (or laptop) with the operating system of not lower than Windows XP or Vista. These devices must be in the same subnet. The installing of AudioReceiver application on both devices – is a prerequisite. Do not forget to pre-enable an AudioReceiver application on a remote computer. Each user of IOS device should have this app on their phone! All you need – is to connect your device to the speakers with an amplifier and you will get a quality sound. Everything is very simple. 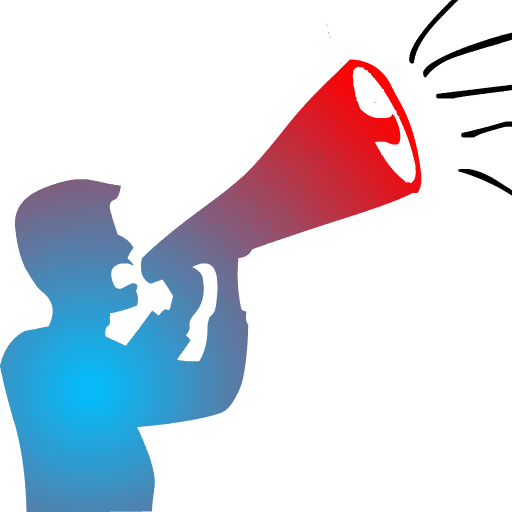 Being on a party or any other place where you need to use your phone as a microphone or speaker – download the app and your voice will be heard. Forget about buying an additional microphone. The app will do everything for you. Easily connect your device to your speakers or stereo system using a cable with Jack connector. Now you will be heard exactly! Do you think about buying a new microphone for the computer, but you have not got the extra money? 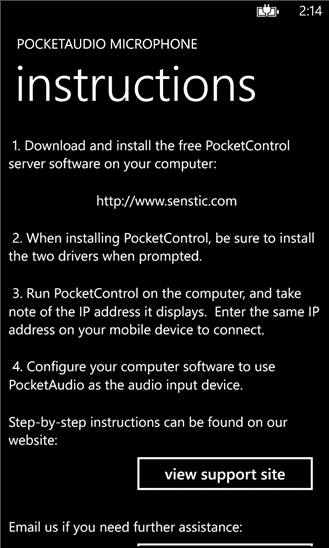 Then the app PocketAudio will come to your rescue. 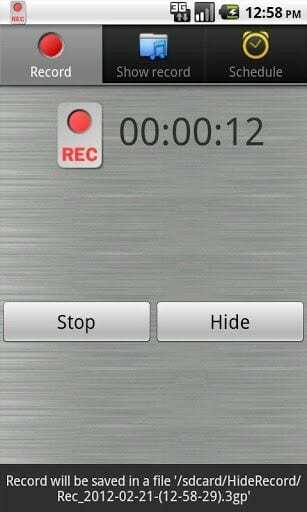 With this program, you can record voice on the mobile device and the audio recording will be saved on your computer. In addition, with this application, you can easily communicate through such programs that require microphone connections as Skype, AIM, Yahoo, etc. Let your companion enjoy the high-quality sound of your voice! Use your phone as a microphone. To start, you need to purchase a cable to the headphone jack. One end inserts into the iPhone, the other – is connected to the speaker, computer, game console or something that has the AUX output. Now your phone will work as a voice amplifier. 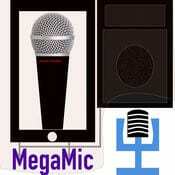 Along with the application Mega Mic, a portable microphone is always in your pocket. There is a function of the voice delaying. 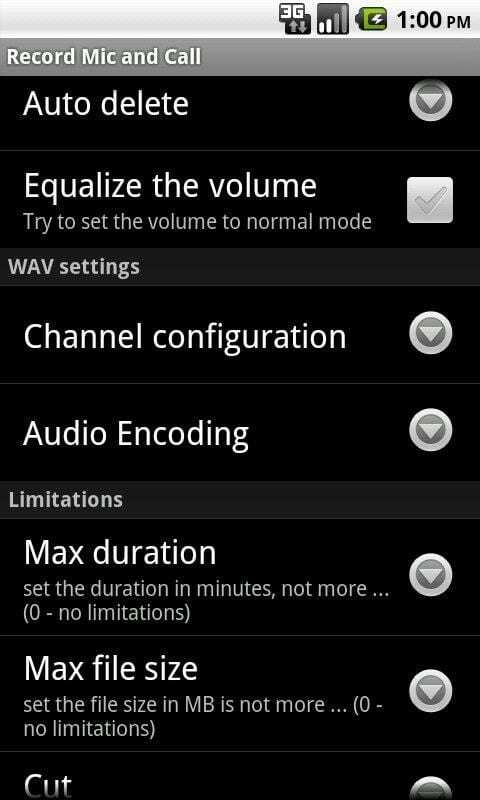 If you have any problem with the background noise, just it is enough to reduce the volume of the speaker. Together with the application Audiphone, Microphone & Loudspeaker, you will hear clearer. Turn your phone into a speaker or even a microphone. This application has the support of Bluetooth-headset. The app allows you to hear your interlocutor better. And to achieve the best sound quality, it is recommended to use headphones. Another feature of the application – you can use your phone as a microphone for karaoke without purchasing any additional devices. 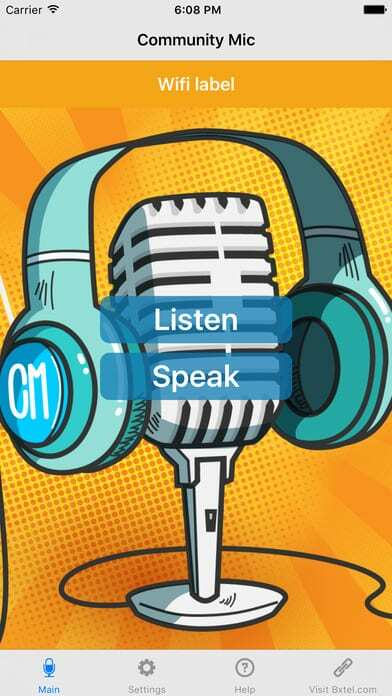 Let your voice be louder, make others listen to you just by using this app. 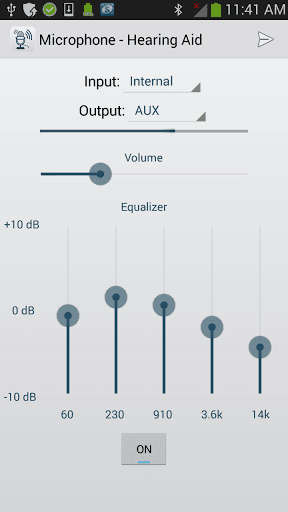 The application has three distinctive features: it can be used as an audiphone, a microphone or a speaker. There is a headset support. 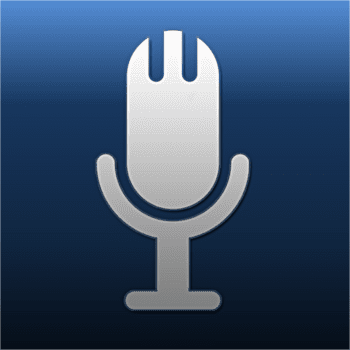 This app can replace the remote microphone system. 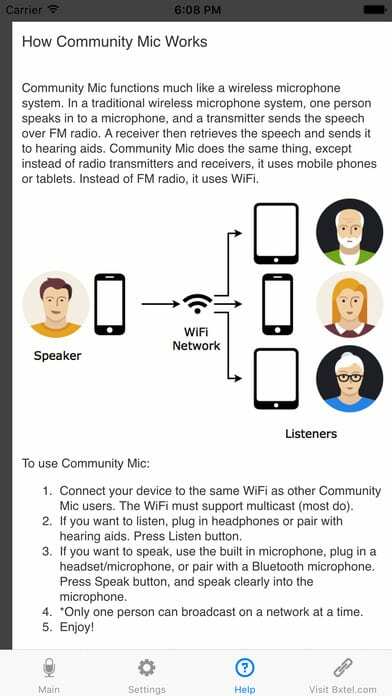 The sound signal is transmitted via WiFi, so your voice can be heard from a far sound source. The app is perfect for the use in such areas, where due to the large area of the room, you may be hard badly. Because the sound is transmitted via WiFi, it may be a small delay in the sound. The program is paid, but if you want to check whether the application is for you, you can download a trial Lite version. 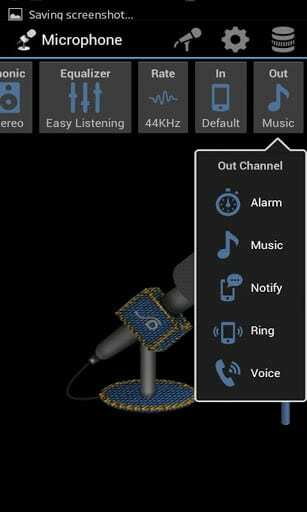 With this application, you can connect the internal microphone of your phone to the headphones or external speakers. 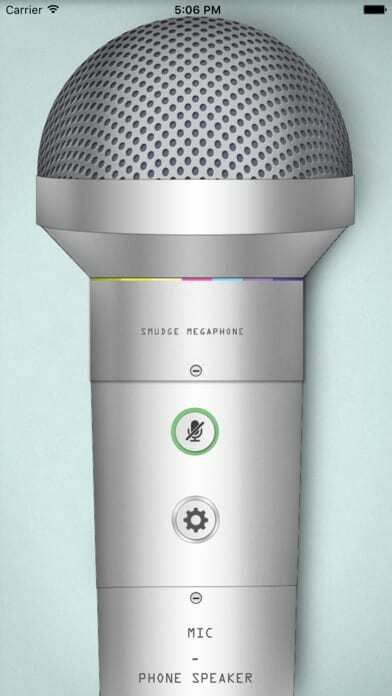 Speak as if you are on stage – without voice delaying and with clear sound! Now, you do not need a professional microphone. It is important to note that the program does not support Bluetooth because the sound transmission can be delayed. To operate you just need to connect the phone to the headphones or external speakers. 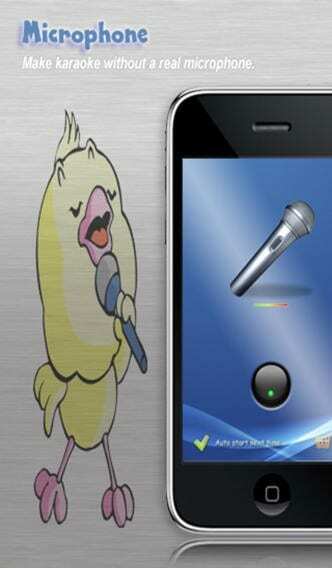 Also, this application allows you to use your phone as a karaoke microphone or a microphone to address the audience.